Two new Trevor Burton Band cd's, 'Best Of Volume 1' and 'Best Of Volume 2', will be available from 22nd January at Trevor's live gigs and also via email at tbband@btinternet.com. 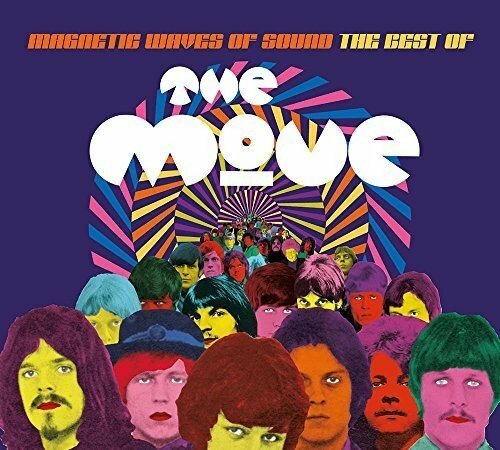 27th January sees the release of a new cd+dvd package by The Move, Magnetic Waves Of Sound - The Best Of The Move'. The dvd sees the first official time that the complete BBC Colour Me Pop broadcast from 1968 featuring the band. Amazon. 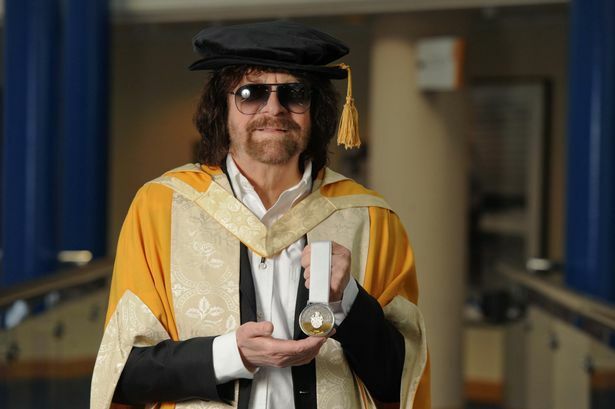 The Ancient Order Of Froth Blowers feature ex-ELO and Wizzard's Bill Hunt and Hugh McDowell, and they have released a double b-side single inspired by early ELO and Roy Wood. I received my 7" beer coloured vinyl of this fantastic release last week. 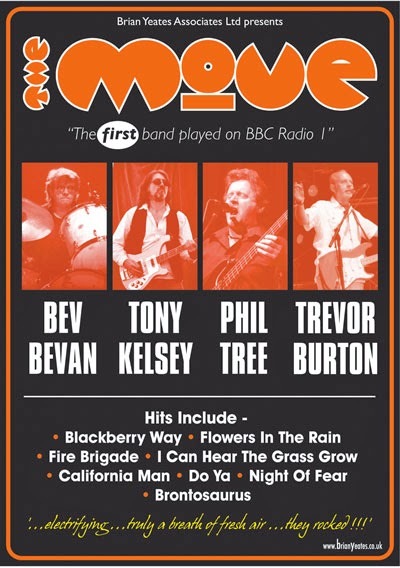 If you like Roy Wood and early ELO, this is a must buy. Official video for 'El Original Brew' - Vimeo / Youtube. ​Fan video for 'The Kentish Town Song' - Youtube. Official Website Link - Website. ​Official Facebook Page - Facebook. 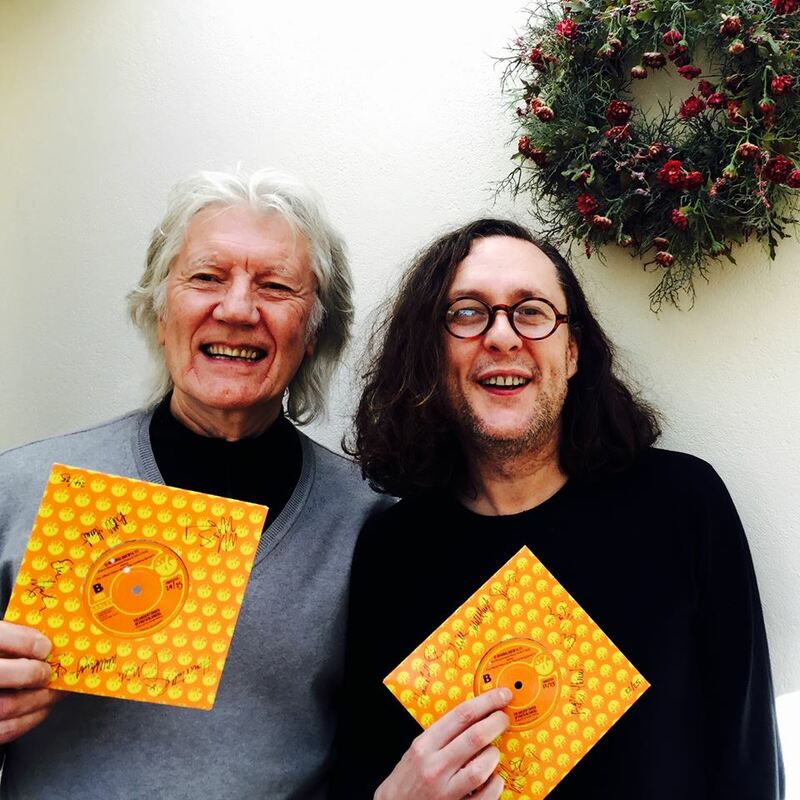 Bill Hunt (ex-ELO and Wizzard) and his nephew Miles Hunt (Wonderstuff). [Photo taken from the AOOFB Facebook Page]. Phil Bates will be performing at The Marina, Liverpool on Thursday 12th March. "This gig represents an overdue and very welcome return to Liverpool by Phil Bates, a guitarist/singer/songwriter of exceptionable ability. 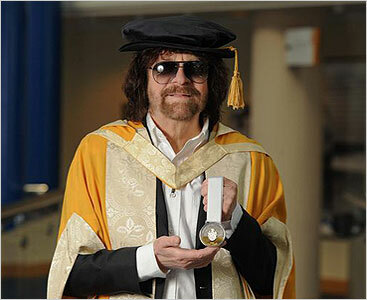 His impressive pedigree includes being a key member of ELO Part 2 and a leading component of other ELO-related projects. Phil has played alongside an impressive array of artistes including Duane Eddy, Black Sabbath, Robert Plant, Paul Carrack and Billy Ocean, appearing on many major stages of the world – not least, Madison Square Garden and Carnegie Hall. As a solo performer, Phil boasts enviable versatility, mixing excellent original material with highly inventive versions of songs by a diverse range of composers encompassing Robert Johnson, Hendrix, Lennon & McCartney, Stevie Wonder and Bob Dylan. 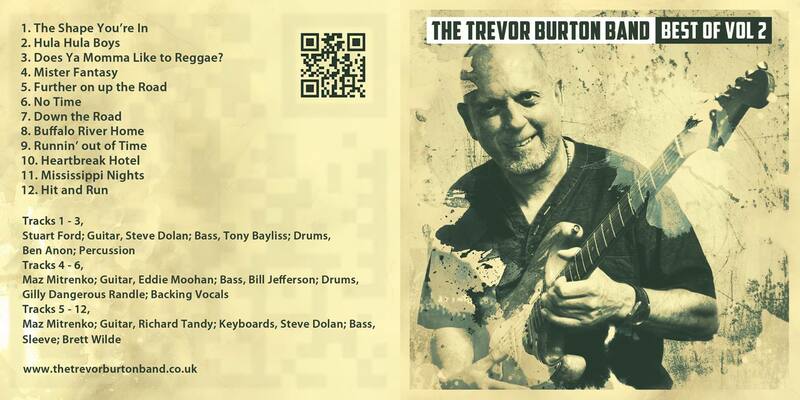 But all of his arrangements reflect his love and mastery of traditional blues roots music and never fail to enthral and delight his audiences in equal measure. The combination of Phil’s artistry and the wonderful ambience of the Marina promises to produce another magical evening." Venue : Liverpool Marina map. Tickets : £11 Advance, £12 Door. More details, and to purchase tickets in advance, visit Johnny's Blues Club Website. Martin Kinch of the Cherry Blossom Clinic announced on his Facebook page today news of the sad passing of former Electric Light Orchestra violinist, Wilf Gibson back in October 2014. Phil Bates has one of his rare solo gigs at The Jamhouse in Birmingham on Tuesday 3rd February which is free entry too. Details here. 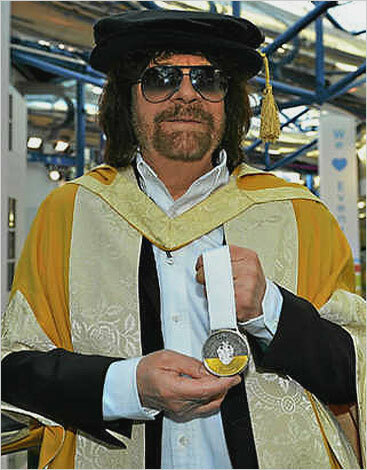 ELO Books section updated with news of a new Roy Wood book now available via Amazon for Kindle and in paperback. Concert Photos section updated with screen shots taken from the television coverage of the Radio 2 Festival In A Day live in Hyde Park concert on Sunday 14th September, featuring Chrissie Hynde, Bellowhead, Kacey Musgraves, Gregory Porter, Paloma Faith, Billy Ocean, Blondie and headliners Jeff Lynne's Electric Light Orchestra with the BBC Concert Orchestra. 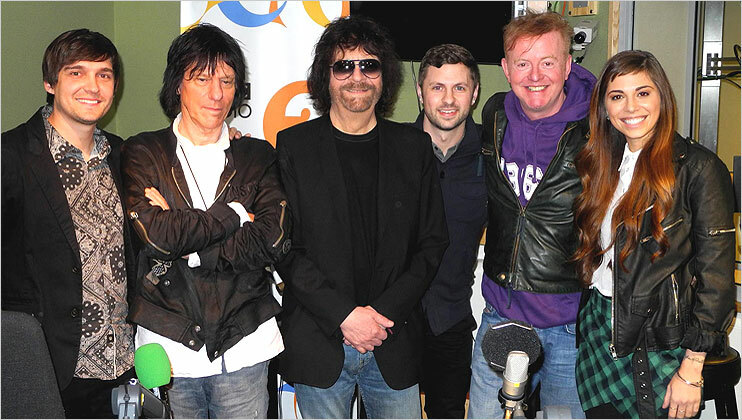 Apologies for the lack of news and updates in recent months, but keep checking back for lots of updates over the coming weeks including news, reviews and photos from Jeff Lynne's appearance at Radio 2's live show at Hyde Park on Sunday 14th September with Jeff headlining with the BBC Concert Orchestra. 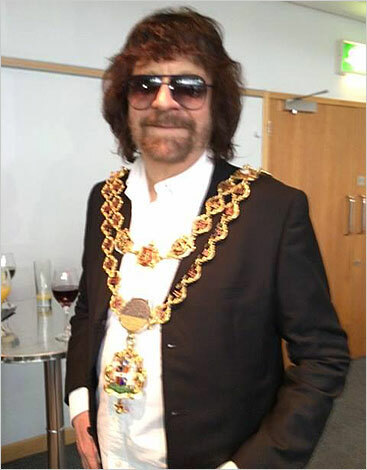 Plus I will be visiting Berlin in early October and will be attending the Teltow Festival where the headline act on Friday 3rd October will be Phil Bates & Band performing Electric Light Orchestra classics so lots of photos and videos of that event will be posted shortly afterwards. 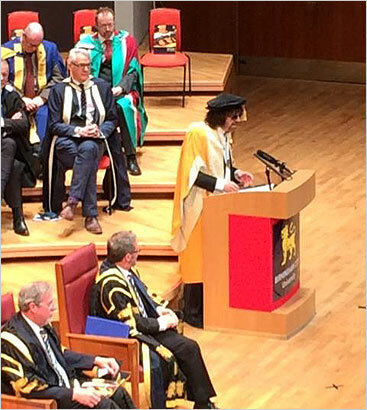 Jeff Lynne has been a very busy man this week here in the U.K. On Wednesday he was honoured by Birmingham City University by being presented with an honorary doctorate at a ceremony in Birmingham Symphony Hall. 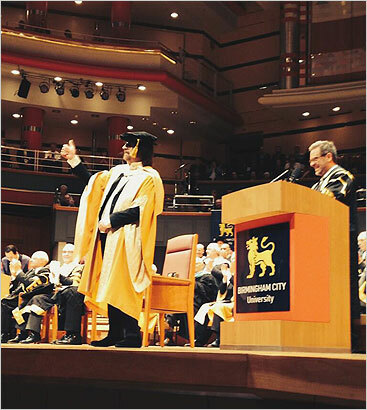 Read the report in the Birmingham Mail. You can also watch part of the ceremony on Youtube. Jeff was also a guest on the Chris Evans Breakfast Show on BBC Radio 2 on Friday. It was an early start for Jeff. 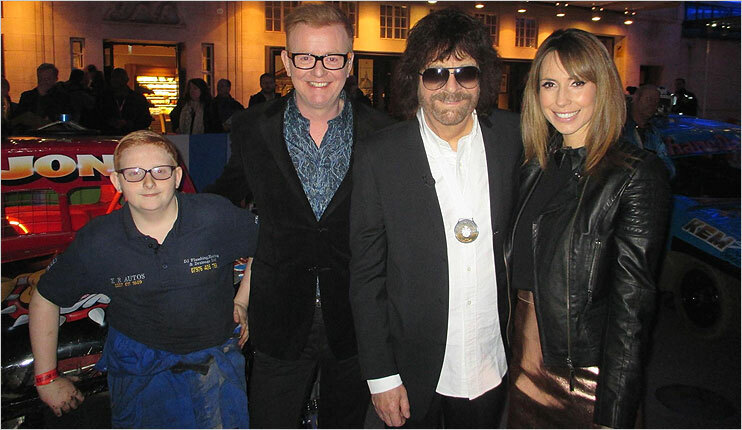 Chris is a huge Jeff Lynne / E.L.O. fan and they spent a lot of time chatting about Jeff's career and even trying to get Jeff to commit to some U.K. gigs. 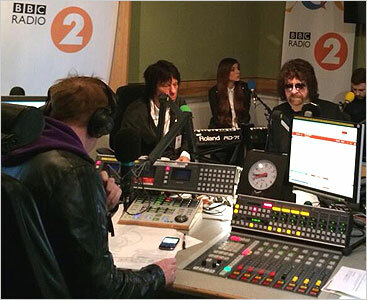 Check out the photos on the BBC Radio 2 Website. To listen to Jeff's interview, Nicolas has this available on his Discovery Website. Jeff also appeared again on the BBC tv's 'The One Show' on Friday evening as the main guest. The show was hosted by Chris Evans and again had Jeff chatting about his career, future plans and there was a nice featurette with clips of E.L.O. 's best-known hits sang 'karaoke-style' by various members of the public. Jeff also played 'When I'm Cleaning Windows' on a ukelele. Jeff's appearance on the show can be viewed on Youtube. All images below (c) the various websites - BBC, Associated Press. Phil Bates returns to the U.K. next week for some solo gigs and also with his Acoustic Trio (Phil Bates, Jo Bates and Susanne Filep) who perform E.L.O. tracks and much more. Dates and venues as listed below (I will be attending the gigs in Huddersfield and Bilston, so looking forward to seeing Phil again, as it has been 18 month since last seeing him over here in the U.K.). March 13th - Phil Bates solo, Leek Acoustic Club, Leek, Staffs (Ticket Details). March 15th - Phil Bates ELO Acoustic Trio, Keys Restaurant, Huddersfield (Ticket Details). 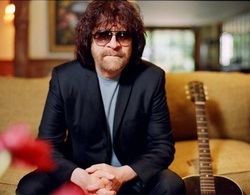 March 16th - Phil Bates ELO Acoustic Trio, Robin 2, Bilston (Ticket Details). 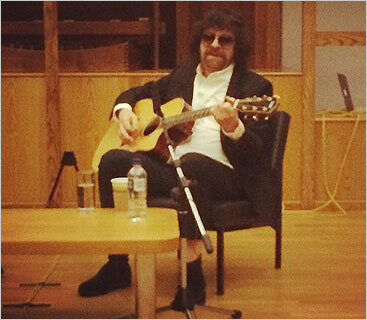 March 18th - Phil Bates ELO Acoustic Trio, Middleton Hall nr Tamworth (Ticket Details). March 20th - Phil Bates solo, Ruthin All-Styles Music Club, Clwyd (Ticket Details). 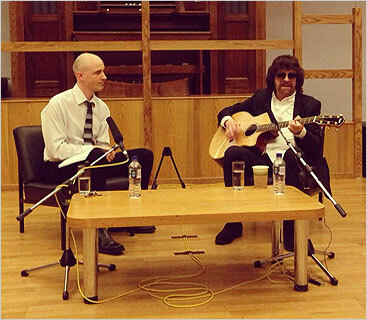 March 22nd - Phil Bates ELO Acoustic Trio, Baskerville Arms, Clyro, Hay-On-Wye (Ticket Details). The Orchestra performed three gigs here in the U.K. last weekend. 28th February at The Plug, Sheffield, 1st March at Fats Sams, Dundee and on 2nd March at The Ironworks, Inverness. Here's hoping for some more U.K. dates later this year. The Sheffield gig was fantastic with a lively audience. Check out the Video Section for videos from the gig and also Concert Photos 2014 page for lots of photos and a short review. Jeff Lynne will be awarded with his own star at the Broad Street Walk of Stars, Birmingham on Thursday 13th March, and a week earlier on 5th March, Jeff will be awarded an honorary doctorate degree by Birmingham City University. Next weeks Top Of The Pops from 1979 to be broadcast on BBC4 on Thursday 27th February at 7:30pm, repeated full programme Friday 1:45am and Sunday 00:45am will feature Mik Kaminski with Violinski performing 'Clog Dance'. Ron Elkman is a photographer for ABC Miami who attends numerous events photographing tv, sport, political and musical events. He recently took some stunning photos at the Alan Parsons Project & The Orchestra gig at Hard Rock Live, Seminole Resort, Florida and these can be viewed at Ron's website and also at Local 10. Launched in 1996, the concert ran for 15 consecutive years before a congested summer schedule in 2012 and financial concerns forced a two-year break. Concert chairman, Roger Allan, said: “We all feel more assured about the financial situation now and are delighted to be putting it on again." The concert will feature the English Pops Orchestra playing a mix of hits from the legendary Hooked on Classics album series plus some additional music from films, the Beatles and a very special ELO hit arranged specially for tonight’s show! PLUS of course the Last Night of the Proms finale. Regularly attracting crowds of up to 5,000, the concert is fun for the whole family and raises vital money for charities, including Southend Hospital. Jacket or Sweater (after the sun sets, the temperature can drop and you'll be happy to have it). Blankets to sit on (a bin bag makes a great liner between your blanket and the moist ground and you can leave your rubbish in it after the concert). Check out the Concert In The Park Website and Music in Southend Blog for further updates. 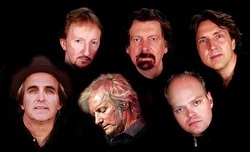 The Orchestra have announced lots of gigs for 2014, confirmed dates so far include three dates here in the U.K. (www.theorchestra.net/gigs.html). February 28th - The Plug, Sheffield (Ticket Details). March 1st - Fat Sams, Dundee (Ticket Details). March 2nd - The Ironworks, Inverness (Ticket Details). Phil Bates is extremely busy touring around Europe with his ELO Klassik, Acoustic Trio and Music of ELO ventures during 2014. But during March he returns to the U.K. to for some solo gigs and also with his Acoustic Trio (Phil Bates, Jo Bates and Susanne Filep) who perform E.L.O. tracks and much more. The Big Christmas Reunion single, a cover of the Roy Wood & Wizzard classic, 'I Wish It Could Be Christmas Everyday will be released in the U.K. on December 16th. The Orchestra - 'Evil Woman' and 'Rock N Roll Is King' live at the bands final gig of their 2013 Eastern Europe tour in Krakow, Poland on 18th November 2013.